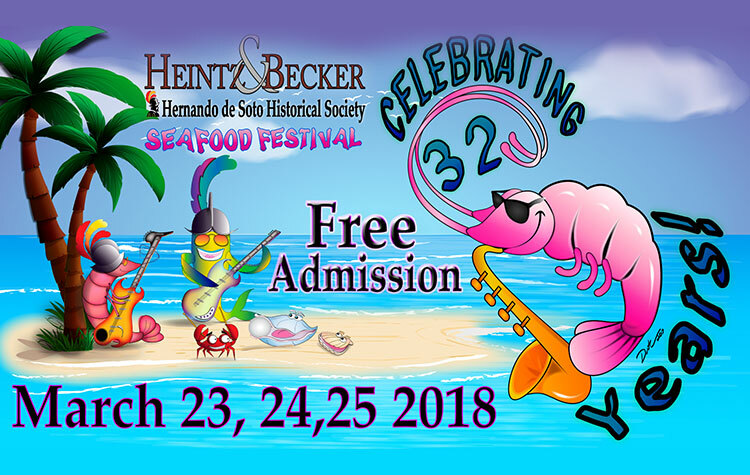 It is with great pleasure that the Hernando de Soto Historical Society extends to you an invitation to place an entry in the 2018 Heintz & Becker De Soto Seafood Fest. The Seafood Fest will be held Friday, March 23, 5 p.m. – 10 p.m., and Saturday, March 24, 11a.m. – 10 p.m., and Sunday, March 25, noon – 6 p.m. on 6th St W Palmetto, FL 34221 (On Corner of 6th St W and 10th Ave W).